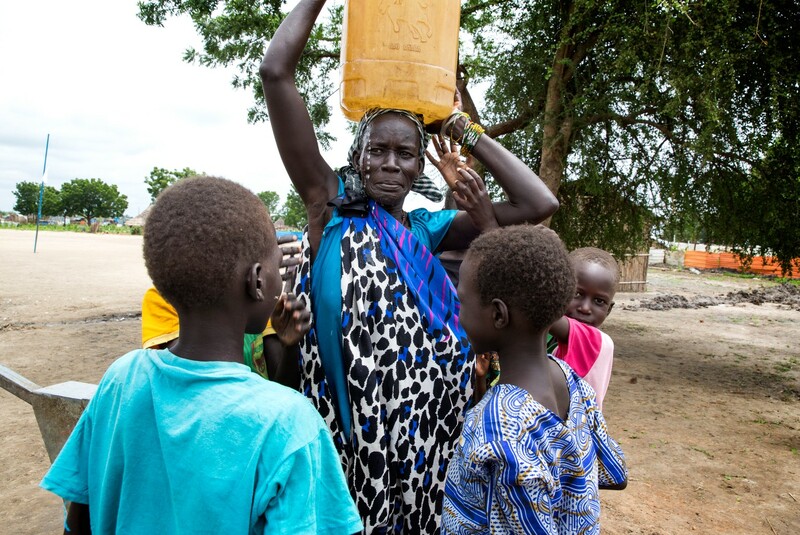 The supply of safe drinking water in South Sudan has been severely disrupted by the conflict, as water points have been damaged or fallen into disrepair. Unsafe water puts people, especially children, at increased risk of waterborne diseases such as diarrhoea and cholera. In Bentiu, UNICEF and partners rehabilitated the water treatment plant with the support of USAID, piping safe water all over the town. 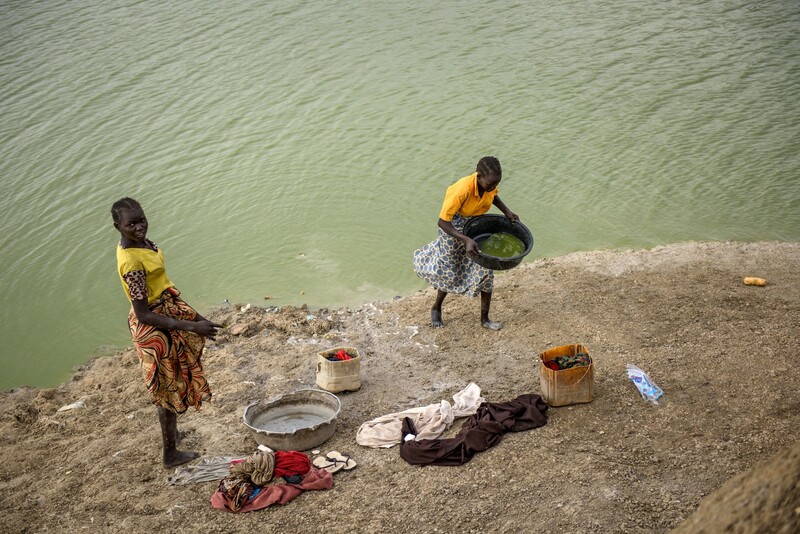 Girls collect water from an artificial lake to wash clothes in the Protection of Civilians (PoC) site in April 2017. 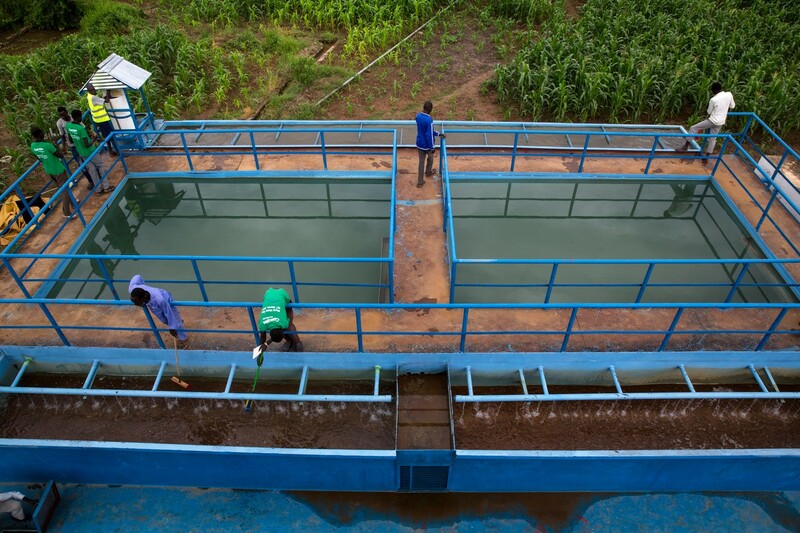 Clean water is provided at the PoC site, but many use untreated water from the artificial lake for tasks such as washing. More than 114,000 people are seeking safety in the PoC site, where a girl in May 2017 carries a bucket filled with safe drinking water. Nationwide, only 41% of children have access to safe water. 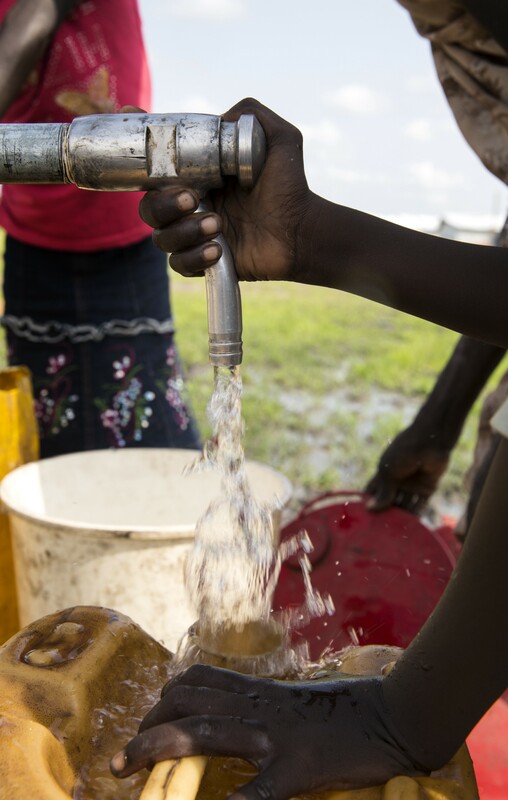 The water treatment plant, which resumed operations in June 2017 after a year-long rehabilitation, produces 500,000 litres per day of safe drinking water which is pumped through six kilometres of pipes to water points across Bentiu, improving the lives of residents. A woman washes with water piped from the treatment plant to a pump at the Machakos primary school in July 2017. Women from the area come to the pump daily to collect safe drinking water for their families and to wash.
Before the treatment plant resumed operations and pumped water to the school, Angelina would fetch untreated water from a river two-hours away, once narrowly avoiding a crocodile, only to be bitten by a snake, “the area bitten by the snake still gets swollen, even though it’s mainly healed”. The rehabilitated pump at the school means families can now access safe water close to their homes. 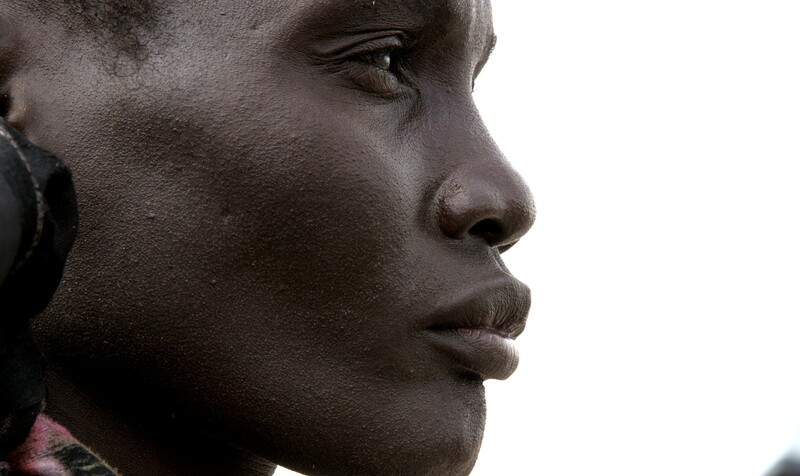 For Angelina, who makes her living selling firewood, it has had a tremendous impact. “The water we get from the school here, I use it to prepare food for my kids and do other things at home, we are all happy,” says Angelina, filling a jerry can. Access to safe drinking water means Angelina, her six children, and others in the community won’t be sickened by waterborne disease. 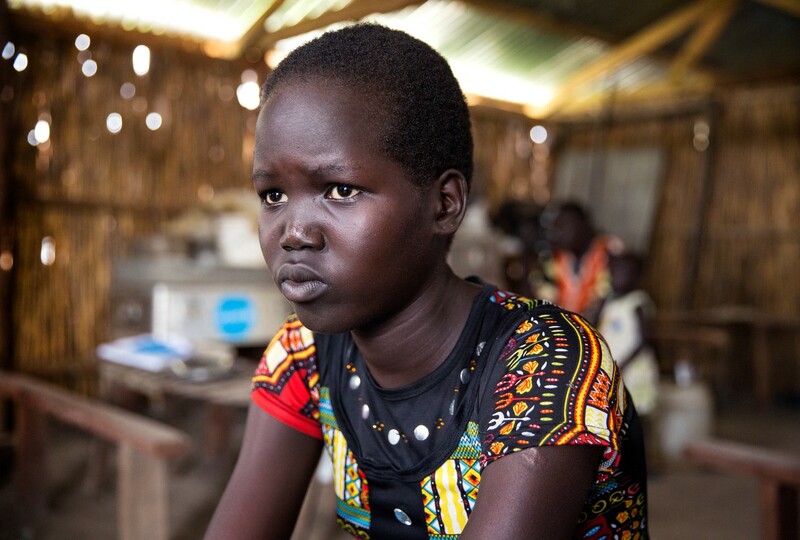 Mary, 15, a student at the primary school, was devasted when her younger sister Nyakuth passed away after falling ill.
“I’m feeling so sad about what happened, it was all because of the dirty water, if the clean water was there — then she might not have become sick and passed away”. 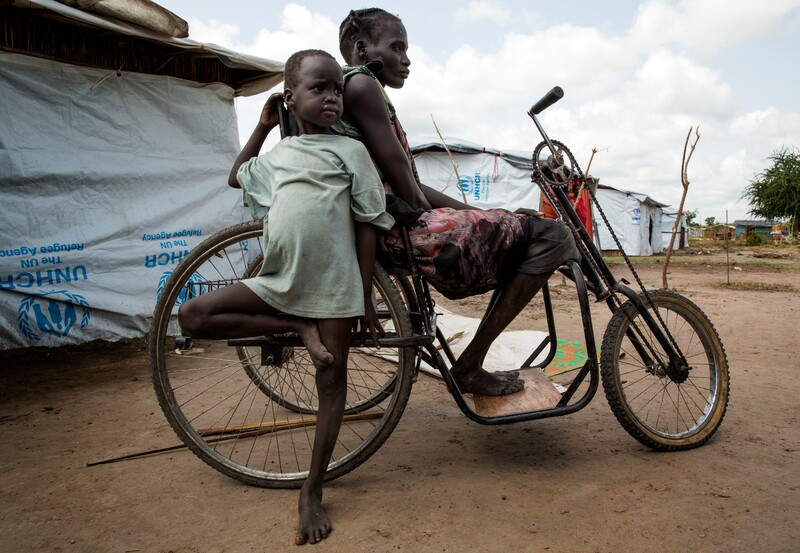 Nyahok Yar lives in the Kochthey internally displaced persons camp in Bentiu with her children and relies on a tricycle for mobility. Before a pipeline bringing safe drinking water from the treatment plant to the camp was constructed, Nyahok would travel up to two hours per day to collect water. “Sometimes during the rainy season, it was too muddy, I couldn’t move with my bike to get water and I was stuck in my house,” says Nyahok. Now it takes Nyahok five minutes to collect water with the help of her children, meaning she can make the journey several times a day. 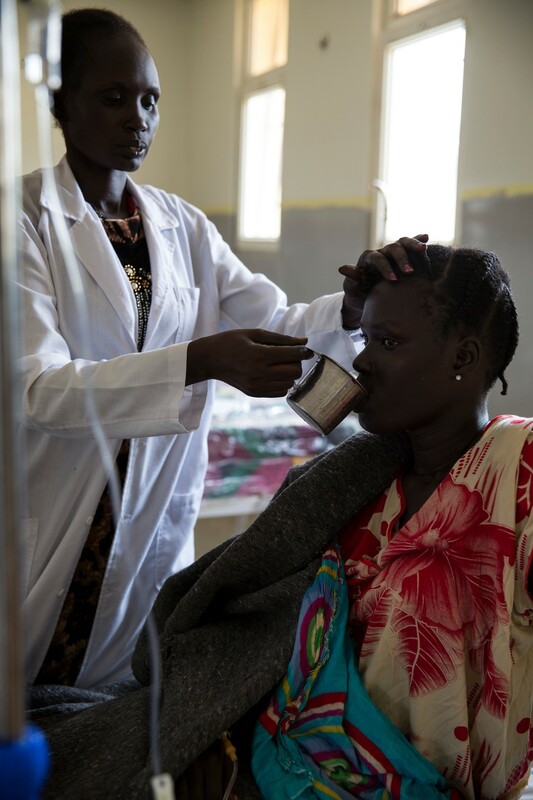 At Bentiu hospital, a doctor provides safe drinking water to a patient. 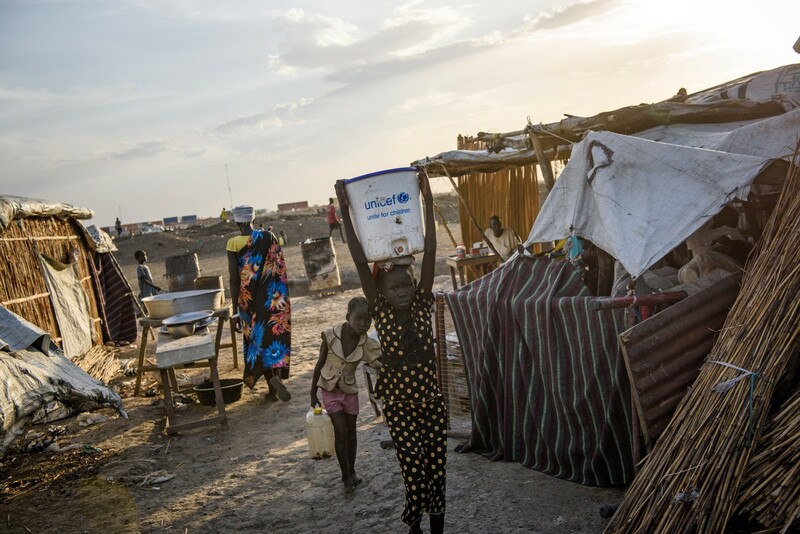 South Sudan is in the grips of a severe and protracted cholera outbreak which has infected thousands and claimed hundreds of lives — safe drinking water and hygiene are crucial to prevent the spread of disease. 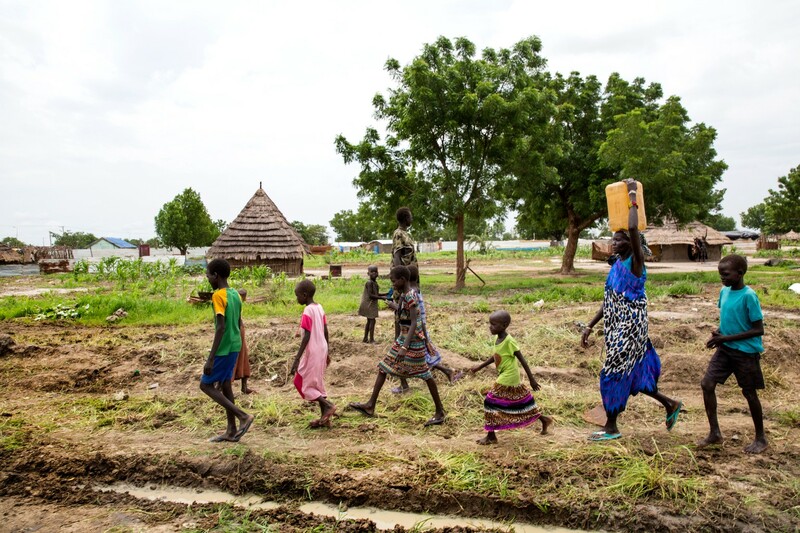 In South Sudan, 5.1 million people lack safe water, adequate sanitation and hygiene. 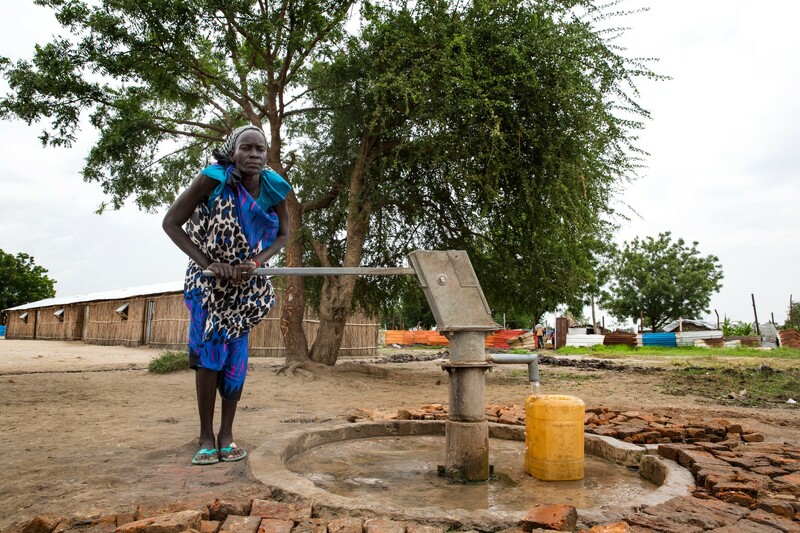 For the residents of Bentiu, the rehabilitated water treatment plant and pipeline has been life-changing.